The Gray Report: Those wacky French! 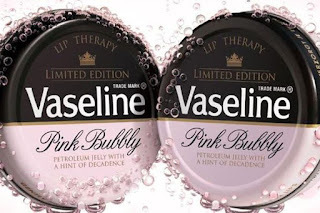 "You can't make pink bubbly because WE make pink bubbly." Those wacky French! "You can't make pink bubbly because WE make pink bubbly." Imagine if Napa Valley Vintners told Sonoma County Vintners, "You can't make Cabernet because we make Cabernet." That's what's going on in a feud between two obscure French wine regions, Bugey and Die. A fine story by Wink Lorch in Wine Searcher last week explained the feud. Let me summarize it for you from an American perspective. Cerdon is a small area within the Bugey region where vintners make pink Méthode Ancestrale sparkling wine -- bubbly made without added sugar, by stopping fermentation before bottling and allowing it to continue fermenting in the bottle. The main grape is Gamay, the grape of Beaujolais. Die is a slightly larger region that makes white Méthode Ancestrale sparkling wine mainly from Muscat. But growers there have Gamay, so they want to make pink Méthode Ancestrale bubbly. 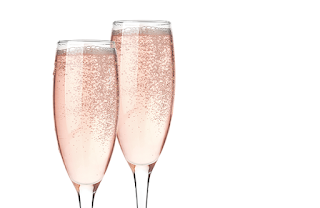 They would call it Clairette de Die rosé, so it's not like anyone would believe it comes from Cerdon, which calls its pink bubbly Bugey-Cerdon. Seems harmless, and the French government gave the Die growers the go-ahead. However, the Cerdon growers filed an appeal. They're upset. Their logic is exactly as I stated in the first paragraph: "You can't make pink Méthode Ancestrale bubbly because we make pink Méthode Ancestrale bubbly. We were here first!" Cerdon takes this position even though sparkling wine made in Die was described by Pliny the Elder. Seriously! Pink wines weren't included, however, when Clairette de Die was recognized as an AO in 1910 and an AOC in 1942. So they're just rapacious young upstarts, as opposed to the traditional producers in Bugey, who were granted an AOC in 2009. Really. France is funny sometimes. 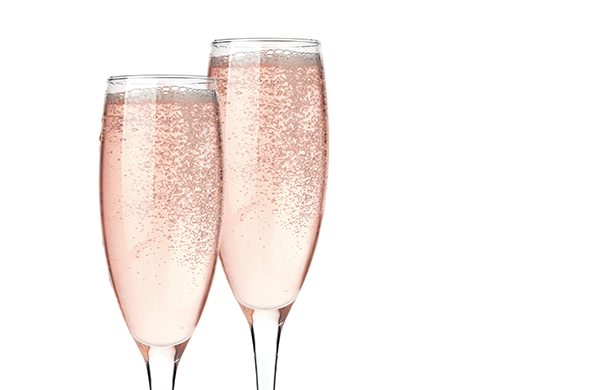 According to the story, Cerdon makes less than 2 million bottles of pink bubbly annually. Apparently growers are afraid that Die's plans for making about 1 million bottles of pink sparkling wine represent a threat to their business. They would rather spend their money on legal fees to prevent Die from expanding its business, which would build more of a worldwide market for pink Méthode Ancestrale bubbly, than on marketing their own wines. I'll take this story any day if means I won't half to read another goddamned story about this idiotic blue Spanish wine. I'm a fan of Cerdon wines, and will be back there in April and plan to again visit the winery run by the man who is head of the Bugey-Cerdon organization spearheading this opposition. He makes very good wine, but his position on this issue is absurd. There's room enough for both, and there is no issue of name confusion. In the land of mostly free markets (USA), the expectation of protection from legitimate competition seems absurd. What's more, this case seems to go beyond the protection typically provided by the AOP system. This is an attempt, not to protect a region, but a style of wine, for which I can think of no precedent. Sure, Prosecco and Port are protected names, but that protection doesn't prevent the production of Charmat or fortified styles under different monikers elsewhere. The Bugey-Cerdon producers are more worried about the precedent set by the permission to use Gamay for Méthode Ancestrale than the small production of sparkling rosé of Clairette de Die. (After all, Clairette de Die will only be allowed a maximum of 10% Gamay, not the 100% permitted in Bugey-Cerdon.) The real threat is Beaujolais, where there are oceans of Gamay and a desire to make sweet, sparkling rosé. The threat from Beaujolais doesn't make protection any more justified, but it explains more why the Bugey-Credon producers are keen to nip this development in the bud. The arguments do seem crazy to the outsider, but these guys really do care. One crucial element is indeed Gamay. But a second is the perceived importance to French consumers of having an 'exclusive' AOC designation - and Cerdon sells mostly within France. There are already plenty of Pétillant Naturels made from Gamay and sold under the Vin de France label - they use the same Méthode Ancestrale method, but the term is not allowed to be stated on the label - Cerdon producers don't care nearly so much about these. And then there is a third element - the marketing power of the big boys, like Jaillance in Clairette de Die (mentioned in my original article) and potentially Boisset, who control much non-Champagne sparkling wine in France. These guys drive prices down. And if the small Cerdon producers can't keep their already very low prices at the level they are now, they simply won't be able to keep going.